Short and sweet. I gotta lotta love and respect for this modern Canadian hero. His personality and charm took the world by storm over the last few years with his use of social media, and as a proud Canadian artist, I wanted to honour him the best way I know how... by burning one of my signature Knoteye caricatures of him! Enjoy. 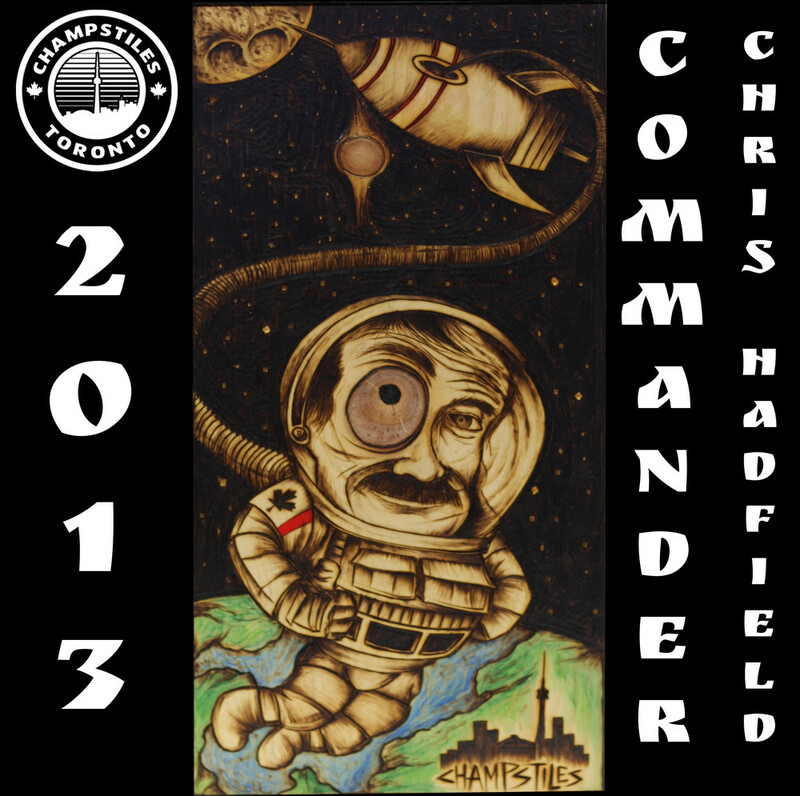 If your not familiar with Mr.Hadfield, give him a follow on his official Facebook and Twitter feeds to see why everyone is so endeared with this public figure. 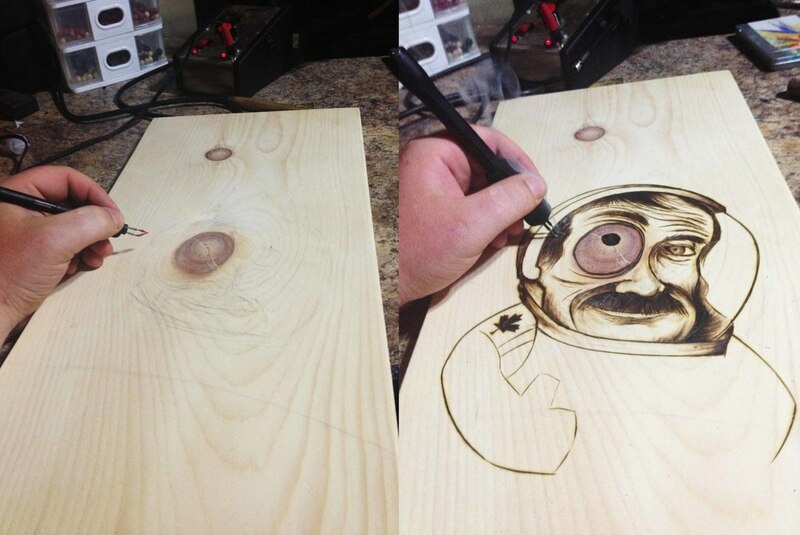 Posted on October 27, 2013 by Chris Burns and tagged astronaut canada chris hadfield hadfield art knoteye pyrography woodburning.